I am sapphire.I am going to start a blog from now on. 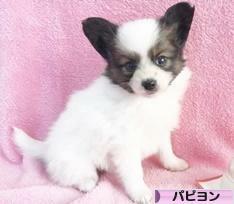 I have an older brother of Red and white papillon. brother ‘s name is Luke.My older brother is watching me and my mother from heaven now. My mother kept on my brother ‘s blog for a long time “Papillon memorandum“.